Located in West Kirby on the Wirral peninsula, near to Thurstaston, Frankby and Hoylake, D&M Motors provide a wide range of garage services including Tyres Wirral, MOT Wirral and Car Servicing Wirral. We are an MOT Testing Station and Tyre Fitting centre in Wirral founded on expert knowledge and a dedication to customer service. 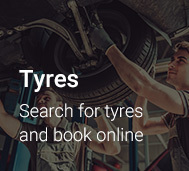 We stock a wide range of tyres in Wirral from a multitude of brands and are proud to offer our advice to help you choose the tyre that is correct for you. At our garage in Wirral we have the facilities to provide a comprehensive repairs service and also offer wheel alignment services. We are a family run business based in the Wirral, West Kirby since 1976. We are a Class 4 MOT Testing Station on the Wirral. This means that we can conduct your car MOT testing or your small van MOT testing in our well equipped workshop. 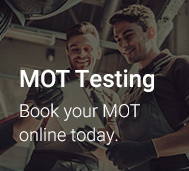 Book your Class 4 MOT Test today using our Online Booking System. We are able to supply a huge range of tyres to you at our garage in wirral, our customers, for all makes and models of cars in the Wirral. Check out our range of tyres available for ordering and fitting. You can order your new tyres and book in to have them fitted at your convenience using our new Online Tyre Ordering & Booking System. We offer a range of servicing options in the Wirral for your cars and vans to keep them running smoothly, be they runarounds for errands on the Wirral and local area or if you are travelling further afield. You can book your choice of servicing now using our Online Booking System. Fabulous service. Genuine garage and they do their very best to help. All the family go here to get their cars sorted. First time customer, brilliant service, great personable interaction and amazing value. Thanks D+M! Dave and his team were as honest and helpful as ever. No "Up Selling" or dodgy looking for additional and unnecessary work, just good honest service at a competitive price. No wonder he is so busy!